Building on the success of our first ever gala dinner last year, this year’s event recognised the outstanding effort our leaders put into PALS over the academic year. The Director of Student Services at the time, Mel Joyner, warmly welcomed and congratulated our students, praising their commitment and wishing them every success for the future. 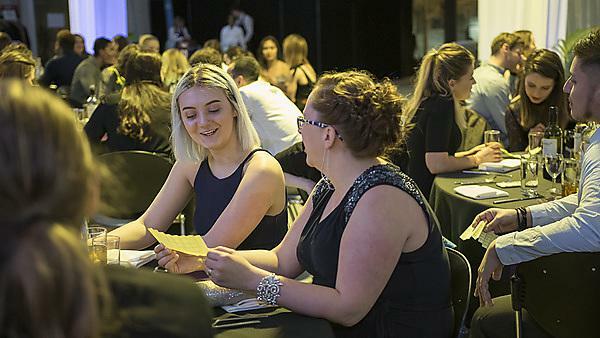 With over 30 courses represented at the gala dinner the event provides a fantastic opportunity for leaders to relax and have fun with like-minded students who are prepared to 'go the extra mile' for their peers. 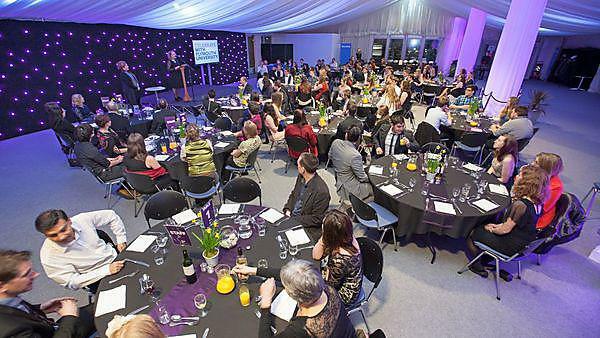 The marquee was the venue for the first ever PALS celebratory gala dinner, where 130 staff and students came together for fun and food. The event was opened by the Deputy Vice Chancellor, Professor Simon Payne, who thanked the PALS Leaders for their commitments, encouraged them to use their skills for their future careers and help to build a community of PALS Leaders for the future. This is one of the only opportunities for leaders from different courses to find out how others enjoy the experience and cope with the challenges of being a leader, forge friendships and make contacts with this extraordinary community.